Nixon Motor Sports: MAY DAY MAY DAY MAY DAY!!! No it's not the distress call! The first of May really IS "May Day", so here's a quick look at whatever thoughts are floating around as we welcome the merry month of May (isn't that a song from somewhere? ), and a brief look back at other tidbits of tantalizingly terrific thoughts; brought to you by the letter "T" of course! 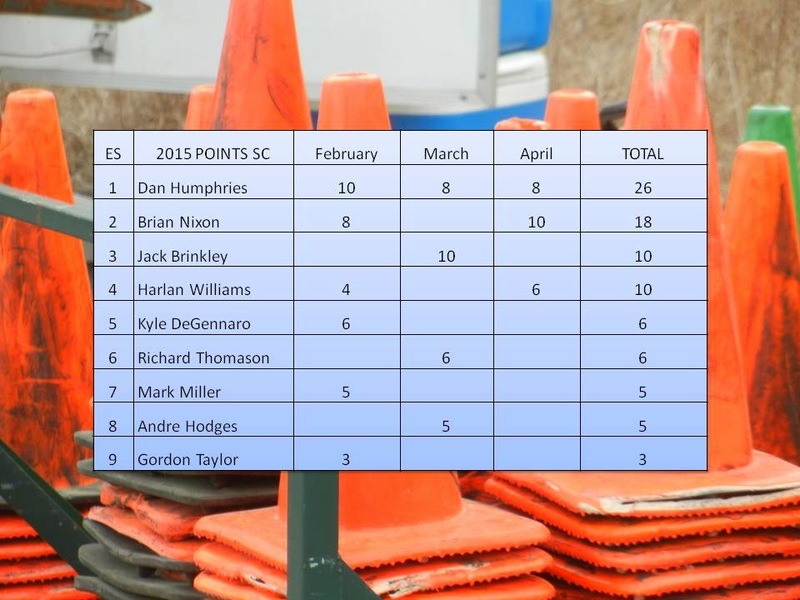 April was a good month at Nixon Motor Sports, marking two years since our first autocross back in April of ye olde year 2013 at Darlington SC. In addition to that, we just passed 19,000 blog post visits, so we'll be closing in on 20,000 soon. Not sure about this, but the 20K mark probably is a record for autocross blog hits for all teams that have Miatas in SC and FIATS in VA! Pretty groovy eh? In the SC Region, each event winner earns 10 points in their class, 2nd place takes 8 points, and then the points go 6-5-4-3-2-1. If you finish behind the driver with 1 point, you get an official Zero, and I don't mean a Japanese WWII fighter plane! 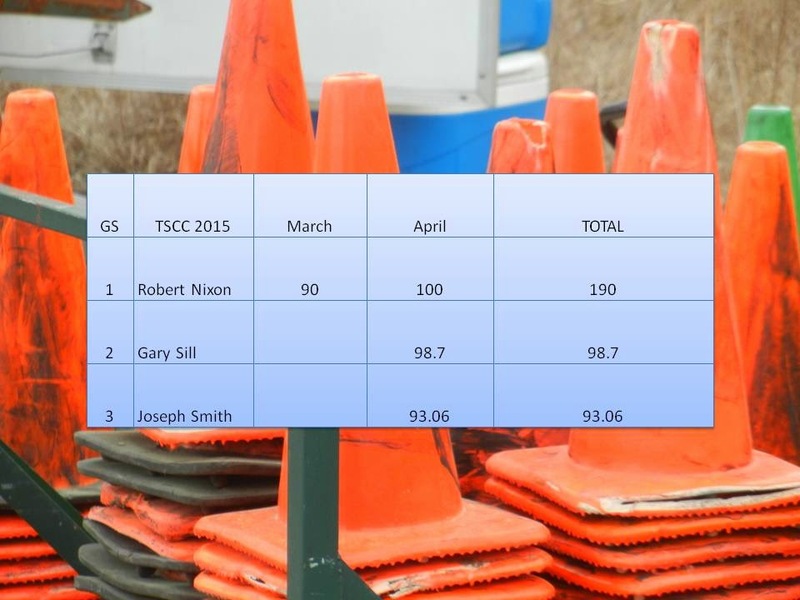 For the TSCC, the winner of a class gets 100 points per event, and the other drivers get points by dividing their time into the winning time, to the second decimal place. The rules also state that if there is only one driver in the class for an event, then they only get 90, so that explains Bob's 90+100=190. Not that we would kid Brian about having who has the most points, but to be honest it's just the two different point systems. (Regardless, Bob points out that 190 is a lot more than 18). Looking ahead to May, well, it's going to be another good month with more driving events in both regions, higher temperatures, and Brian will be driving his Miata for two days on the track at Carolina Motorsports Park as he works toward track racing the mighty Miata! Farther north on that same weekend, Bob will be driving the FIAT at autocross on Sunday. His Saturday is undecided, since there are about five cool driving events taking place on the same day, and due to the dumb laws of physics even a FIAT can only be in one place at a time. Bottom line: We're having a blast driving this year, improving the cars, hopefully improving our driving, and still leading the league in having fun! Drive safe out there!